read Matthew 6 (the Message). 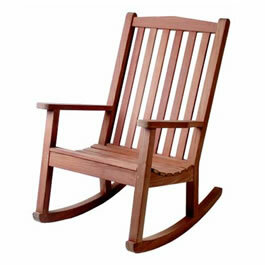 “Worry is like a rocking chair. You waste a lot of energy, but it doesn’t get you anywhere” (Glenn Turner). We know that. And yet we do it anyway. Here in the middle of the Sermon on the Mount, Christ gives an antidote. He says your peace depends on where you keep your treasure. If the thing you value most is in an unsafe place, you will always live in anxiety. In the back of your mind you’ll know you’re vulnerable. You’ll be like Voldemort, knowing that no matter where you have hidden your Horcruxes, a determined boy with a lightning scar will find them. In the Bible, this concept is called idolatry. The idea is that if we “worship” something inherently unstable – like romance, human approval, power, love, perfection, relationships, fame or success – we’ll always be anxious; we’ve made a non-ultimate our ultimate. You can read Tim Keller’s seminal book, Counterfeit Gods, for a breath-taking analysis of the deep, obvious and subtle ways in which we do this. As the bible puts it: “you will live in such fear that the sound of a leaf driven by the wind will send you fleeing.” Lev. 26:36. We all know this kind of fear. The solution, Jesus says, is to “store up” your treasure in heaven. So how do we do this? The chapter offers some concrete advice. Don’t, Christ says, put your treasure in human approval. Don’t give to the poor to be approved of by others. Don’t pray to be seen. Don’t fast publicly, to be thought “good.” After all – who do you think you’re fooling? No matter how little you eat, how hugely you give, or how loudly you chant, the enormity of your flaws will always be visible – all the more so to those who know you best. Instead, Christ says, give, pray and fast privately. Apparently doing good deeds privately is one way to store up treasure in heaven. Christ says that there’s an inverse relationship at work; the more “treasure” or approval you get on earth, the less reward you’ll get in heaven. My guess is that that’s because once you get the human approval, you get addicted to it. You want more. Addiction, too, is another word for idolatry. So one way to start on your journey to complete peace, is to start praying, fasting and giving without telling anyone. Shut the door behind you, and you will find another door opens onto something even more beautiful. But as with all things of God, it requires that we be willing to shut a door, before we can even see the new door. It takes faith. It takes, in the words of Christ, being willing to serve only one master. The reward is enormous. God promises that if we seek God above all else, he will give us “everything we need.” That is an extraordinary promise. When Christ was dying on the cross, people mocked him with those very words: Where is your God now, they asked. Where is he to save you now that you need him? Matt. 27:43. Where, we might echo, is God when our children are sick? When we lose our jobs? When our spouses desert us? When our friends betray us? When we pay our taxes, speed only 5 miles above the limit, give to the poor, and yet still feel empty, hollow and under-appreciated more times than we care to admit? Where is God to meet our needs when we agree along with Emerson that the “mass of men lead lives of quiet desperation,” because we feel quietly desperate ourselves, and no amount of t.v., books, movies, and escapes both public and private can truly distract us from our all-pervasive, deep down sense of anxiety, inadequacy and restlessness? Christ gave his answer when the soldiers came to arrest him, and Peter slashed off the ear of the high priest’s slave. Christ tells Peter: “Don’t you realize that I could ask my Father for thousands of angels to protect us and he would send them instantly?” Matt. 26:53. Well, yes, we do know that. If God is real, so are the angels. So why couldn’t the angels rescue us from all harm? The answer, apparently, is that they could, just as God could have rescued Christ from the cross. But God didn’t. Christ accepted God’s will. He chose to suffer death upon the cross in order to rescue a fallen humanity from the consequences of our sin. He had to die in order to give us life. And somehow, in a way we can never fully understand this side of heaven, God allows pain, suffering and loss in our lives, too. We live in a fallen world. Death, disease, and natural disaster entered this world the day Adam and Eve chose to bite the apple. Midnight in the garden of good and evil became midnight in our own gardens. But what gives us peace even in the face of dire circumstances is the cross. We can choose to have faith that just as God brought good from the cross, so God promises to bring good from bad in our lives if we love him. Romans 8:28. God never says the bad is good. But he says he will redeem it. It doesn’t mean the process won’t hurt. We know from the prophetic words of Psalm 22 just how much the crucifixion hurt Jesus Christ. “My life is poured out like water, and all my bones are out of joint. My heart is like wax, melting within me. My strength has dried up like sunbaked clay. My tongue sticks to the roof of my mouth…. They have pierced my hands and feet. I can count all my bones. My enemies stare at me and gloat. They divide my garments amount themselves and throw dice for my clothing.” Ps. 22:14-18. We know from our own lives that “sharper than a serpent’s tooth,” as Shakespeare put it, are the betrayals of a child. But if we choose to trust and obey God, no matter what happens, we can have peace even as we mourn. “Our hearts ache, but we always have joy.” We can walk in the light, no matter how dark the circumstances. We can have freedom from anxiety because we know our treasure is in a safe place. We don’t have to earn or buy that treasure; Christ already paid the price. And Christ promises no one can take it away from us. (see e.g. Rev. 3:8). We can have a supernatural joy that people like Voldemort can never understand, because they don’t know what it’s like to follow a master called love, instead of one called fear. The choice is ours. Shut the door on seeking human approval, Jesus says, and you will find a new door “standing open in heaven.” Rev. 4:1. What is the treasure behind this door? What is this one thing we need? It’s Jesus. He is the way, and if you let him carry you there, you’ll discover he’s also the answer. Truth is a person. Joy is a person. Peace is a person. Love is a person. Your treasure is Christ. If you choose to put your trust in him, you’ll forget what worry even felt like. The joy comes not just from trusting Christ, but from his supernatural presence. And if circumstances overwhelm you and your soul is troubled, you know exactly which supernatural rocking chair you’re going to run to first. I am helped and encouraged each morning by the Word of God and your thoughtful compassionate writing. Thank you for freely sharing the gift that you were given with others. To God be the glory!